Fresh smoked tuna. Great sandwich or the greatest sandwich? 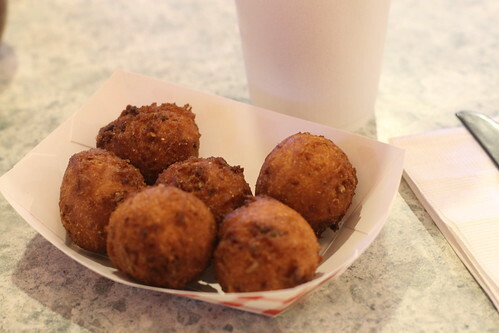 AND they make the best hushpuppies around. Score! 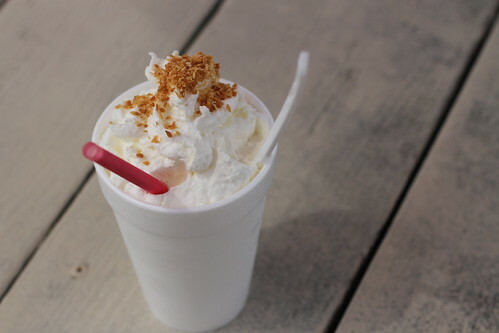 I’m willing to travel a bit further afield for a coconut cream pie milkshake. 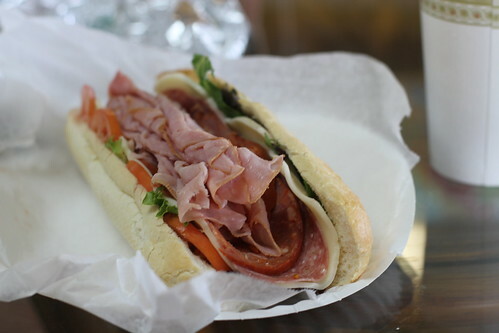 Or for the “Epic Italian,” my favorite sandwich at my family’s pizza joint. Of course, life isn’t all sandwiches. 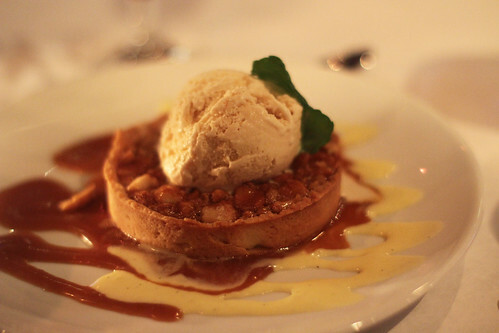 Or macadamia nut tarts with caramel ice cream. Or puppies! This is puppy #3. Of course, some people prefer kittens. We have those as well. holy cow! 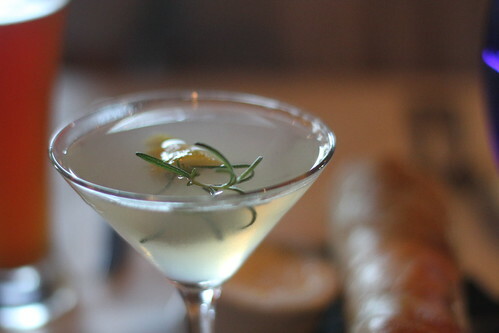 puppies, kittens, cocktails AND pork? I would die on the spot! 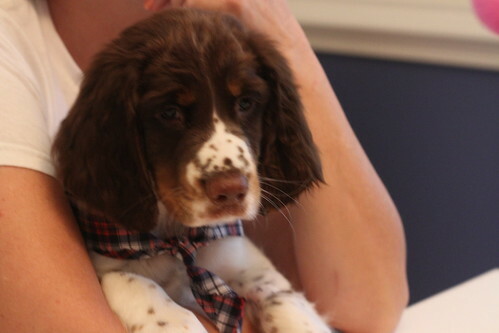 OMG I love the freckles on the puppy’s face. Too cute! 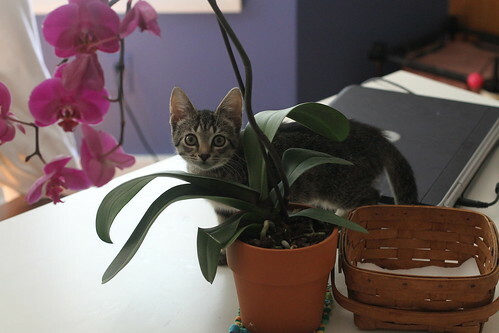 I gave that Orchid to my Mom! Best child ever? Yes. I’m glad it is still living. I think you need to plan my next vacation. Looks like an excellent vacation all around. Doesn’t get much better than good food and cute puppies. 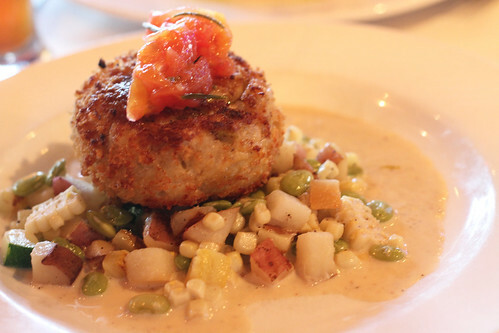 where is the tuna from? shake? Looks awesome. 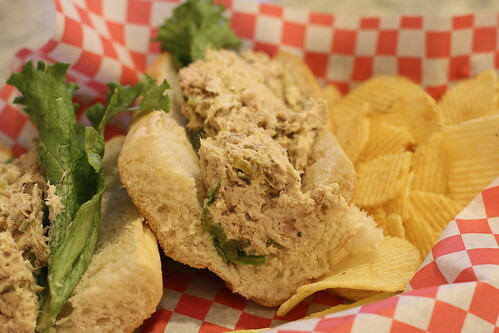 I am heading out to Nag’s Head in a few months and wonder if that tuna sandwich is in my future!! sara, tuna is from duck deli in (duh) duck. shake is from kill devil custard in (duh) kill devil hills. Thanks! Looks like the shake is a possibility!